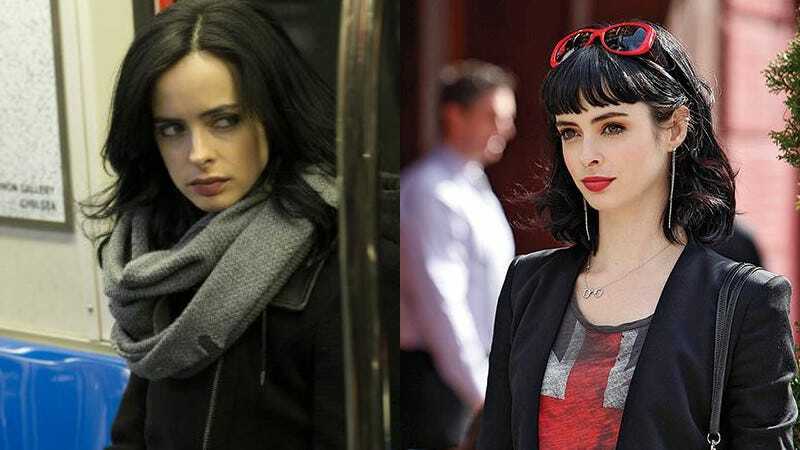 I usually don’t play this game but since I don’t know much about Jessica Jones* when I see Krysten Ritter playing her I keep thinking the character could be Chloe, her character from the show Don’t Trust The B In Apartment 23. And my theory actually fits what I know about each character. For those who haven’t watched Don’t Trust The B In Apartment 23 Chloe is a party girl/con artist and probable alcoholic who lives in a nice apartment in New York City without having an actual job. Though it’s played for laughs Chloe has a very dark streak. She also has a graphic novel series based on her life so she is arguably a bit of a superhero. Sometime between the end of Don’t Trust The B In Apartment 23 and the start of Jessica Jones something happened that pushed Chloe all the way into her dark place. (I suspect it involves James Van Der Beek dying a horrible death. Has he been seen lately in the MCU?) Chloe is so traumatized that she now calls herself Jessica Jones and has that thousand yard stare. Something has apparently happened to her old roommate June but she has another blonde friend to fill that void. So that’s the theory in my head. Once Jessica Jones pops up on Netflix I’ll see how it stands up. *I watch MCU stuff on its own without much knowledge of the comics. I should be able to enjoy Jessica Jones with just a basic knowledge of the MCU (I’ve seen all the movies and shows).